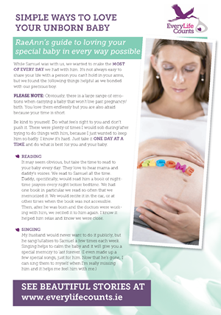 There are several conditions which, if diagnosed during pregnancy, can mean that a baby may not live for long after birth, or that he or she might not make it to birth at all. 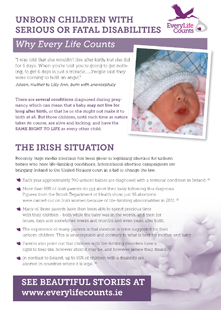 These diagnoses are rare but they can arise for up to 700 babies - about 1% of pregnancies - every year in Ireland. 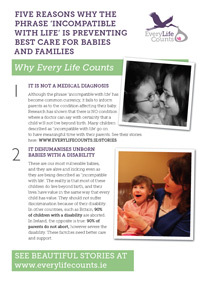 Everyone would feel enormous sympathy for parents faced with a poor or life-limiting diagnosis for their baby. 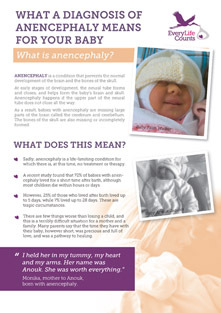 What many parents are not told, however, is that while their children will have a short life, the time they have with them can be hugely joyful and rewarding..
Anencephaly is a serious neural tube defect which causes the baby's brain not to develop properly. 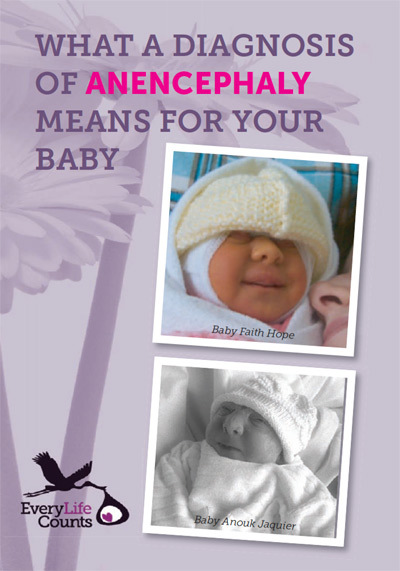 A recent study found that 72% of babies with anencephaly lived for a short time after birth. Of those children, 25% lived up to 5 days, while up to 7% lived up to 28 days after birth. 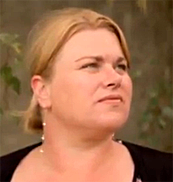 (1) Two children - Stephanie Keene and Nicholas - lived in excess of two years. 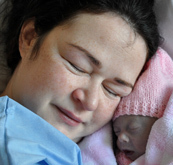 Kildare mother Aileen Behan's little girl Lilly Ann lived for 6 days. She says "I was told that she wouldn’t live after birth, she did for 6 days. When you’re told you’re going to get nothing, to get 6 days is just a miracle. There were 2 wishes I had for her, one that she would feel the air in her face and one that she would be held and loved by everyone. And she was." Trisomy 18 or Edwards Syndrome arises because of the presence of an extra chromosome. There is a significant risk of miscarriage with Trisomy 18. However, contrary to recent reporting, studies have found that the average duration of survival for children with Trisomy 18 was 14.5 days; with 38.6% of babies surviving for more than a month, while 8.4% survived for more than a year (2). 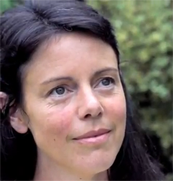 Here in Ireland, Elaine Fagan, given just days to live after birth, spent 25 years with her loving family before her death in 2011, confounding all medical expectations. “She has touched so many people. I now know happiness comes from caring and sharing with others. I wouldn’t have found that out if I didn’t have Elaine. It’s thanks to her that I am seeing a lovely side of human nature,” said her father Micheal. Trisomy 13 or Patau Syndrome also arises when the baby has an additional chromosome. 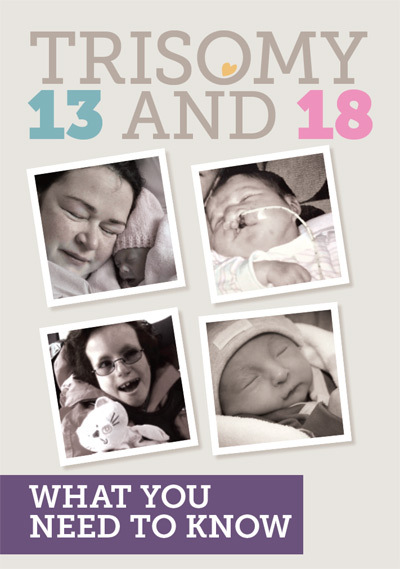 Research has found that children with Trisomy 13 live on average for 7 days after birth, while almost 31% live for more than a month, and almost one in 10 live for more than a year. 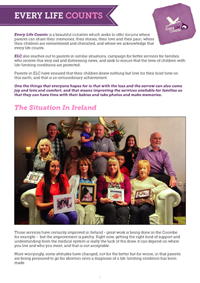 (3) Kathleen Rose Harkin, who lives in Cavan, has defied all doctors predications to celebrate her seventh birthday despite having Trisomy 13. "They say Trisomy 13 is incompatible with life, but Kathleen Rose is the love of our lives," says her mother Tracy. "She shows us how to love." In Addition: A recent study in the American Journal of Medical Genetics (2013) found that many parents met with negative reactions from healthcare providers regarding their children who had been diagnosed with Trisomy 13-18. 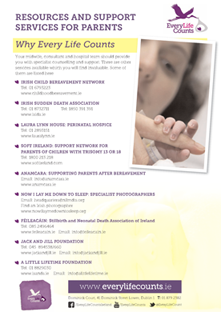 91% of parents who continued with the pregnancy said they would do that again - and for most of these parents, perinatal hospice care was not available. Our children are not a diagnosis, AJMG, 2013. Some conditions including Potter's Syndrome, Potter's Sequence and Renal Agenesis mean that a lack of kidneys or kidney development causes a decreased amount of amniotic fluid - which can also mean that the baby's lungs fail to develop. It has tended to be associated with a very poor outcome but this is not invariably so, and a new treatment means the outlook may dramatically improve. US Congresswoman Jamie Herrera Beutler was told that her daughter had Potter's Syndrome and that "It's 100 per cent fatal. She will either be stillborn, you'll miscarry, or she will suffocate in your arms after she's born". But the Beutlers urged doctors to try an experimental treatment - injecting a small amount of saline into the womb to act as a substitute amniotic fluid. In September 2014, the Daily Mail reported the story of a baby boy whose mother was strongly advised to abort since he was 'fatally ill’ . 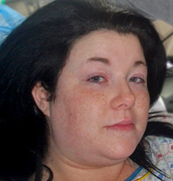 Robyn Wilson and her husband Adam said they were told ultrasounds showed the baby had a chromosomal disorder and that they came under pressure to abort, with doctors in Jessops Hospital in Leeds going so far as to book an abortion and telling the couple that while it wasn't compulsory, it would be for the best. 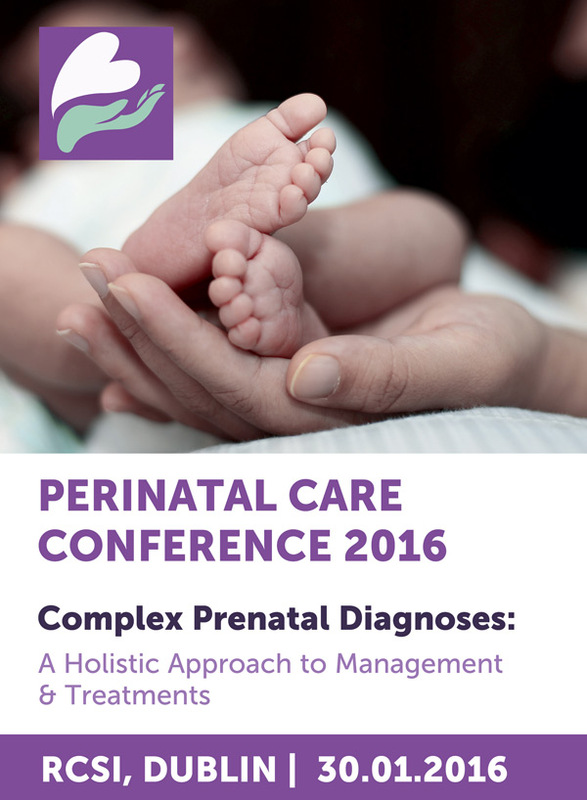 WATCH this videos which were recorded at a Perinatal Conference in January 2016. Dr. Martin McCaffrey Is a Professor of Pediatrics at UNC and a Board Certified Neonatologist. He completed his pediatric residency at Naval Medical Center San Diego in 1989. Barbara Farlow is an engineer with an MBA who was redirected in her life to become a researcher after the death of her daughter Annie ten years ago. 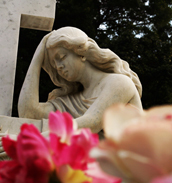 Annie had trisomy 13 and the medical care she received when she died at the age of 80 days was deemed by the Coroner's Paediatric Death Review Committee to be "inappropriate." On April 10, 2014, Jenna and Dan learned that the baby they were expecting had a terminal neural tube birth defect called Anencephaly. They named their baby boy Shane Michael and decided that, although the diagnosis was dire, they would celebrate his life while he was with them in the womb. They created a bucket list of places they wanted to take Shane and in the following months traveled to New York City, Ocean City, Maryland, and the Cape May County Zoo in New Jersey, the Stroudsburg Train in Lancaster, Pennsylvania, the Philadelphia Zoo, and Linvilla Orchards in Aston, Pennsylvania. Dr. Wayne Tworetzky is the Director of Fetal Cardiology in the Department of Cardiology and the Advanced Fetal Care Center at Boston Children’s Hospital, an Attending Physician in Cardiology at Boston Children’s Hospital and an Associate Professor of Pediatrics at Harvard Medical School. In addition, he is the founding member of the newly formed Fetal Heart Society and associated multi-center Fetal Cardiology Research Network. 97% of families say their child was happy, with similar numbers saying their child enriched their lives, whatever the longevity. 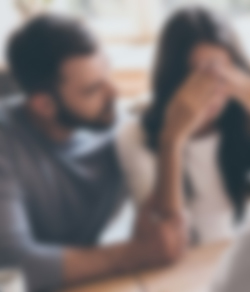 Parents also reported being told that their child was incompatible with life (87%), would live a life of suffering (57%), would be a vegetable (50%), or would ruin their family (23%). Ontario study: Children born with trisomy 13 or 18 in, early mortality most common outcome, but 10% to 13% survived for 10 years. In the past decade, growing evidence has demonstrated that some children with these conditions received interventions and that some children were prolonged survivors. When asked what their goals were after the diagnosis, 80% of parents who experienced a prenatal diagnosis said that their goal was to meet their child alive. The study found that "the single most important factor independently related to mortality before going home or before 1 year, even when correcting for all other factors, was the presence of a prenatal diagnosis. Children who had a postnatal diagnosis were treated "as any other child" ("full interventions") until a median age of 6 days, when the diagnosis occurred. This may have given them a survival advantage. The authors concluded that not every baby with Trisomy 13 and 18 should be treated in the same way: "interventions may be of benefit to some children and harm others." A diagnosis should not be used to deny medical options which might be beneficial. Babies with these conditions used to be described as 'incompatible with life'. But "in the age of social media, however, everything changed. Parents share stories and videos, showing their happy 4-and 5-year-old children with these conditions. Survival, it turns out, is not as rare as once thought." Dr Lantos noted that "predictions of lethality become self-fulfilling prophecies" and says that "The concept of quality of life is too vague and subjective to be helpful as a criterion for deciding about the appropriateness of treatment. No one can know with certainty what any infant is thinking, feeling, or experiencing, but what is observed can be interpreted. Children with trisomy 13 and 18 smile and laugh. They are not in pain. They give and receive love. These factors suggest that their subjective quality of life is not so poor that life-prolonging treatment should not be offered."